I’m a great fan of Old Bike Mart, and particularly enjoy the ‘mystery bike’ items. Here is a shot of my parents looking very fashionable one day around 1935 on their mystery motorcycle. 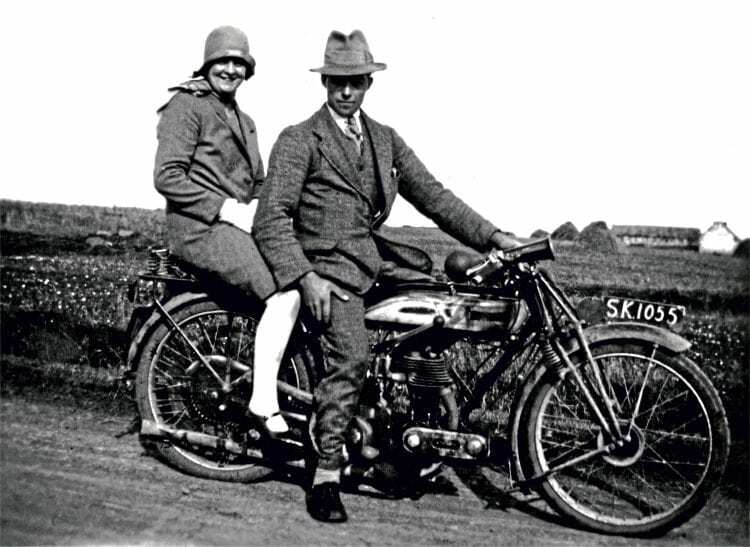 With old-fashioned stacks in the field behind, the writer’s parents pose proudly on their motorcycle in the mid-1930s. They lived in Caithness, which tallies with the registration, but what is the make and model of the very smart machine?